Kamakura, so close to Tokyo and yet so different. Easily reachable on Tokyo’s JR Subway line, most women travelers find a springtime visit to the picturesque seaside town of Kamakura irresistible. The city bursts with color and culture – from fragile pink cherry blossoms on every street, to gentle sunlight reflecting on the Great Buddha, to the spring festival celebrated each April. Here’s a couple of popular events held each spring in Kamakura as well as a list of things to do while on a ‘spring is sprung’ girlfriend getaway in Japan. A drum beat is followed by the muffled sound of thundering hooves – there’s a collective gasp from the gathering of people as horse and rider fly past, before breaking into applause – the blur disappears to the end of the sandy track, firing an arrow into a wooden target; the arrow striking with a satisfying thud. While the next samurai costumed rider prepares for the imminent drum signal, anticipation ripples through the crowd. Yabusame is a traditional and culturally celebrated sport in Japan, deriving from the 6th century, and later during the Kamakura period when Samurai practiced horseback archery to improve their concentration, discipline and refinement. A horseback archery contest is now held twice a year in the scenic grounds of Tsurugaoka Hachimangu Shrine. During Kamakura Spring Festival this pageantry sets the week off to a flying start. Each year between the second and third Sundays in April, Kamakura celebrates the season with cultural celebrations and festivities. The festival kicks off with its main parade on Wakamiya Oji, and throughout the week, events are held across the city. Annual highlights include Yabusame; horseback archery, and a traditional dancing ceremony, which are both held at Hachimangu Shrine. The well-known Daibutsu draws most of Kamakura’s tourists to the area. This statue of the Great Buddha sits in the grounds of Kotokuin temple, in the Hase neighborhood. 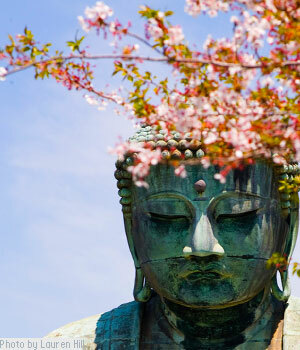 The temple in which the Daibutsu was originally housed was repeatedly destroyed by typhoons during the 14th and 15th centuries, until finally being swept away by a tsunami: the Buddha now sits out in the open. Entrance to Kotokuin Temple is ¥200, and for an extra ¥20 you can go inside the statue itself. 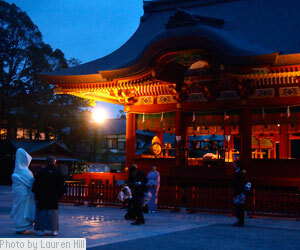 The heart of Kamakura’s rich history is Tsurugaoka Hachimangu Shrine. This Shinto Buddhist complex is home to the striking Hongu Shrine, a dance stage and two idyllic lotus ponds. Beyond Hachimangu is woodland, which is the start of some popular hiking trails leading up into the mountainside. Kamakura Museum of National Treasures (¥300), which displays Zen Buddhist Sculptures, is also in the grounds of the complex. Zeniarai Benten Shrine is a short walk from central Kamakura, this atmospheric site is distinctly different from most other shrines across Japan. After entering through a cave and a walkway of Torii gates, you come to a clearing with shrines built into the rocky hillside and incense smoke rippling through the air. The main shrine sits inside a colourfully decorated cave, where visitors come to wash their money in the spring water, in the hope that it will bring them good fortune. 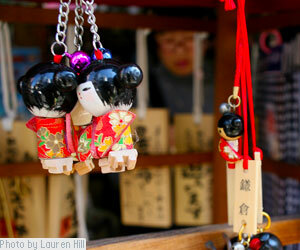 Wondering What Else to Do in Kamakura? We’ve Got Some Ideas! Locals head to this stretch of coast to unwind by dipping into Kamakura surf scene. Visitors looking for their own surf experience can rent a board for around ¥3000. Surf shops along the coastal road also offer lessons for around ¥5000. For a faster way to get around, rent a bicycle from Kamakura JR station. A couple of hours costs around ¥850. Explore the sights or cycle along the coast, where on a clear evening you’ll be rewarded with a stunning view of the sun setting behind Mt Fuji. Participation in a tea ceremony is a fascinating cultural experience. Jomyoji and Engakuji temples both have tea houses where this can be arranged. Zazen meditation is sometimes scheduled in English for foreigners at Kenchoji. Take a look at Kenchoji’s website for upcoming dates. Komachi Dori pedestrian street is entirely dedicated to shops and eating establishments. This is the perfect spot to pick up gifts and souvenirs, or to try the local specialties. Adjacent to Komachi Dori is Wakamiya Oji. This street also has many souvenir shops and places to eat. Wakamiya Oji, which leads up to Tsurugaoka Hachimangu, is split by the Dankazura walkway; popular in spring for its cherry blossom trees, this walkway looks spectacular in full bloom. On the opposite side of the station Onari Dori is a less famous but equally as interesting walkway, which attracts more locals than tourists. A visit to Kamakura can be a food lovers dream. Try samples of sweet and spicy pickles, buy crisp baked rice crackers or comforting steamed dumplings, as they are made for you. On a hot day, cool down with some green tea or sweet potato ice cream. Alternatively there is a diverse range of international fare on offer. A plethora of desirable crafts, both traditional and contemporary, can be bought in any of the tourist areas around Kamakura – especially along Komachi Dori or Wakamiya Oji. In springtime what could be better than a visit to flower shop and café Rakaposhi. This gem has a natural and earthy interior that is bright and breezy with vintage French features. Coffee aromas blend with the smell of freshly cut flowers, and tempting aromas of wholesome home cooked food drift from the open kitchen. More independent cafes can be found all over Kamakura, suiting any taste and style. The traditional Japanese restaurants reflect how diverse the country’s cuisine can be. Buddhist vegetarian cuisine, Shojin Ryori, can be tried at Hachinoki, which has set meals ranging from ¥1700 to ¥12700. International options include lush Italian, gourmet Hawaiian and hearty German restaurants, among many others. Lauren is in constant pursuit of adventure, new knowledge and experience fueled by her passion for travel, photography, writing and the world we live in. 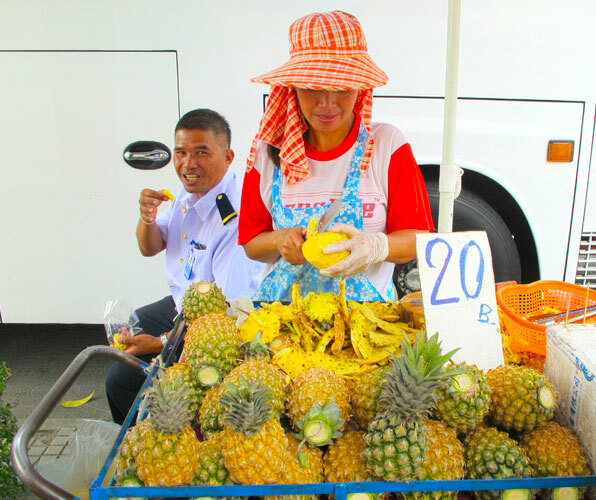 She is originally from England and currently living in Singapore, while striving to travel as much as possible. This passion for travel has so far taken her through almost 30 countries, with time spent working, studying or volunteering in Cuba, Colombia, Costa Rica and Australia; and over two years of living, working and travelling within Japan. 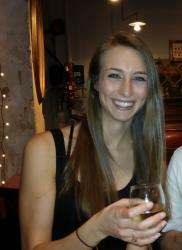 Visit Lauren’s website to find out more about her adventures abroad.